Later, Iron Works would become an Imperial naval shipyard and eventually what is now called Yokosuka Naval Base. These events were the beginning of Yokosuka’s history as a historical naval port city. With the nation’s first Western-style lighthouse, a modern water supply from the Hashirimizu Reservoir and a French language school, it is no surprise the city development had a French twist. The Imperial naval shipyard built numerous historical ships in its time, such as the battleship Mutsu (39,000 tons, 738-feet long, built in 1920) and the aircraft carrier Shinano (69,000-tons, 872-feet long, built in 1944). After World War II, the naval facility became home to U.S. Seventh Fleet vessels. Visiting the historical dry docks on the U.S. naval base, which are still in active use, will give you a glimpse of the glorious naval history of Japan. 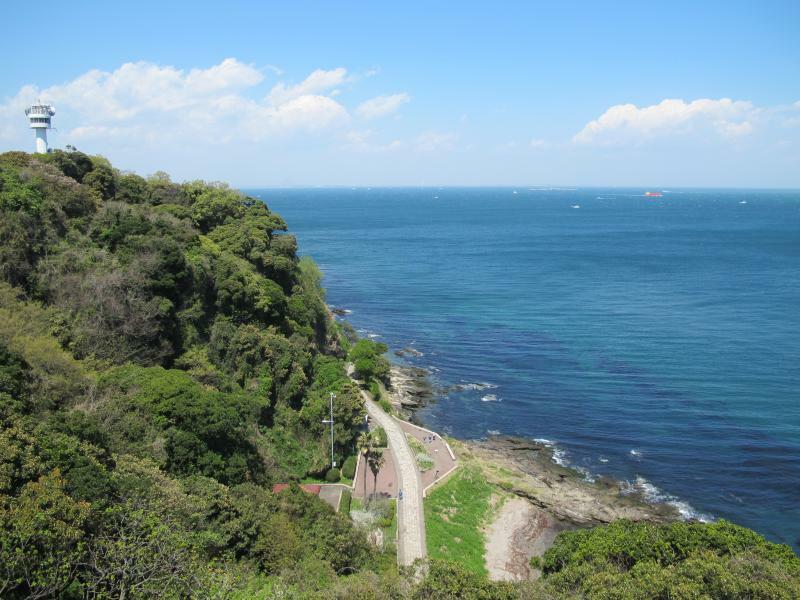 Besides the historical naval assets, Yokosuka is a city known for its numerous attractive parks with great views of the ocean and mountains. One of the most notable is Mikasa Park, located next to the naval base, where you can literally walk into Japan’s naval history. The 118-year-old Mikasa battleship, one of the world’s most notable memorial ships, is permanently preserved in concrete, right on the water, at the park. From here a ferry takes visitors to “Sarushima,” Japanese for Monkey Island, the largest uninhabited island in Tokyo Bay. Kannonzaki Park is located on a cape at the east end of Miura Peninsula and is blessed with various attractions including a lighthouse, museum and shrine. It offers picturesque views of a beautiful blue ocean and green mountains. Nearby, the Yokosuka Museum of Art is known for some of its superb views and unique architecture featuring neo-futuristic style made up of glass panels, white walls, bridges and small round windows. While walking around the museum, you may feel as if you are in a spacecraft rather than a museum. It houses about 5,000 works of art, and its regular exhibitions focus on Yokosuka and Miura Peninsula paintings by Japanese artists from the 19th and 20th centuries. Near the museum, there is another must-see attraction, Hashirimizu Shrine, which is dedicated to Princess Ototachibana and Prince Yamatotakeru. According to the Kojiki, Japan’s oldest history book, the princess’ life came to a tragic end in 370 AD when she and her husband tried to cross the Tokyo Gulf toward Chiba in their ship. The sea was rough and danger was imminent, so the princess, in an attempt to calm the wrath of the sea gods, sacrificed herself by jumping into the water. The storm subsided enough for the prince to cross safely, the book said. 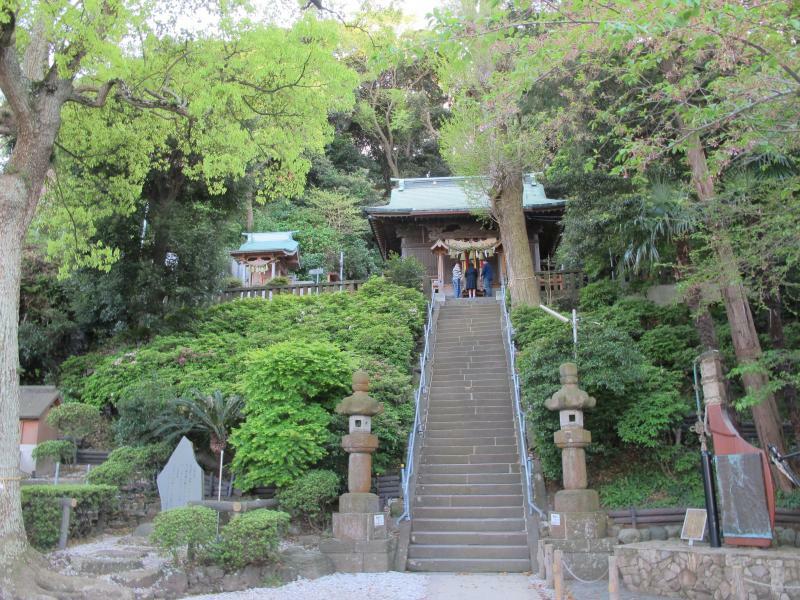 Climb a long set of stairs at the foot of a mountain to the traditional and somewhat mysterious shrine erected in the princess’ honor. Originally used as a housing and radio facility by the U.S. military and Japan Self Defense Forces, Soleil Hill near Arasaki Coast, only became a city park in 2005. This 52-acre park is host to a restaurant and spa facilities. There is also a BBQ area where visitors can rent a grill set and supplies, perfect for a relaxing lunch. Farm houses, wind mills and storage buildings modeled after houses in South France, are scattered throughout the park. While you can stroll in the park for free, the Ferris wheel, archery, go-karts and other attractions can be enjoyed for a small fee. 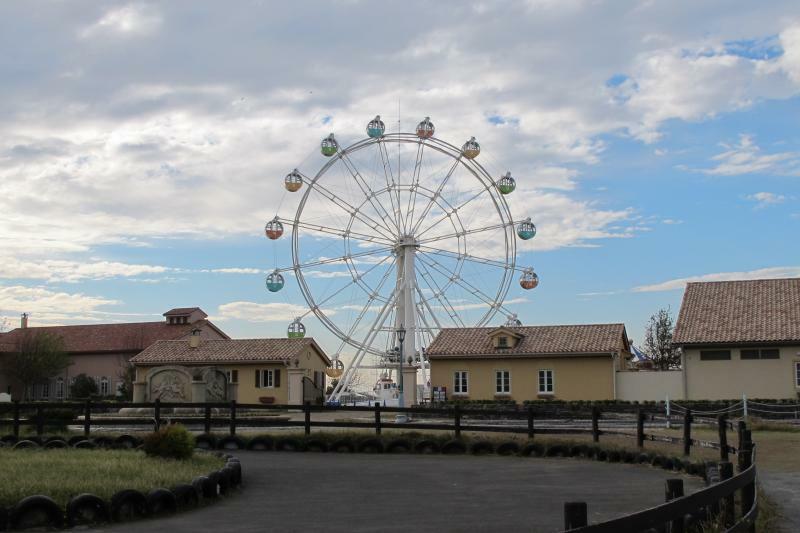 A go-kart ride will run you 600 yen and feels as if you are driving through an open field in France. In the tiny zoo (300 yen admission), friendly staffers let you touch and feed various animals, such as rabbits, kangaroos and donkeys. Both Tateishi and Arasaki parks, located on western coast of the city, are well-known tourist attractions for their picturesque landscape. 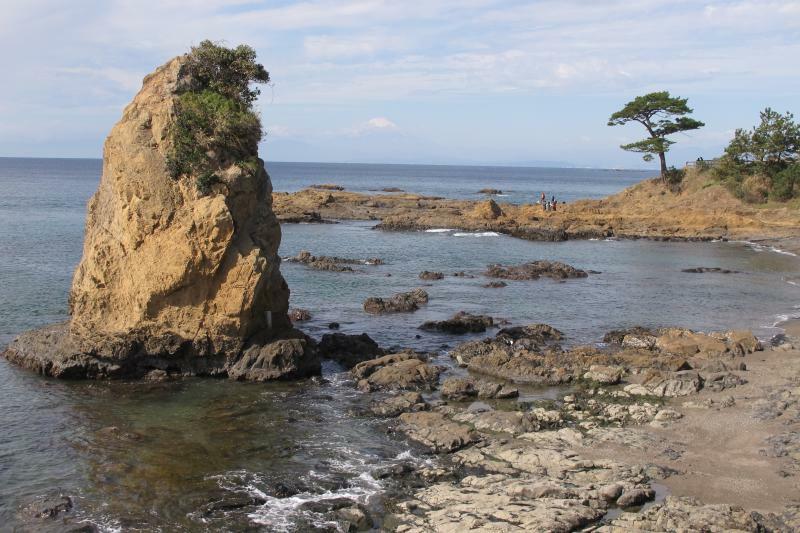 Tateishi is a 40-foot tall rock with beautiful pine trees off of Akiya Beach. The vista of the gray rock, green pine trees and white shore against the backdrop of Mount Fuji, is breathtaking and has been repeatedly depicted in traditional Ukiyo-e art. When the tide is low, you can walk up to the rock. If you’re looking for a nice sunset view, this park is a good pick for a late afternoon stroll. 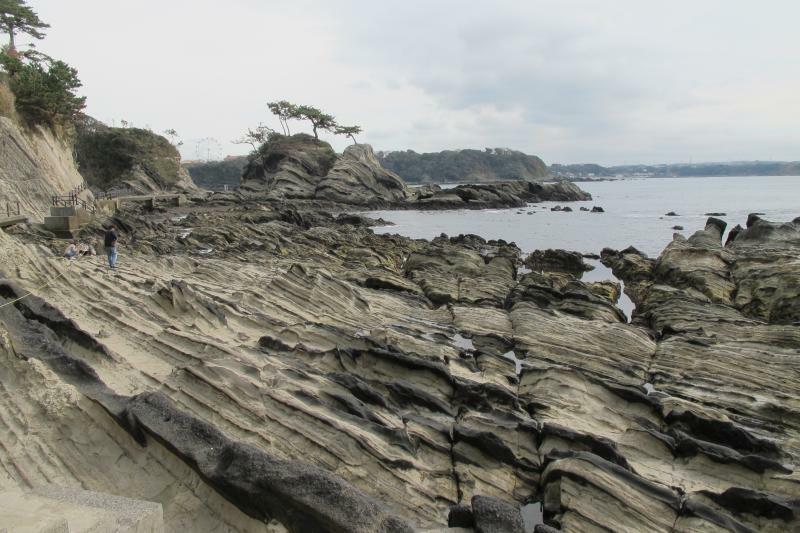 Arasaki offers a seaside path along a mile-long coast featuring unique black rocks and white mudstones. There are also plenty of caves and small islands to explore. Just like Tateishi, this park faces the west and offers a beautiful view of the sun setting over the Sagami Gulf, Mount Fuji and Izu Peninsula. HOURS: Mon. - Sun., 9 a.m. - 5:30 p.m.
FEE: 600 yen ($5); seniors, 500 yen; high school students, 300 yen; junior high students and younger, free. Kanagawa Pref. (7-min. walk from Yokosuka Chuo Station on the Keikyu Line).